A US Navy Seahawk. Image via the Department of Defense. Defence will contribute $5 million over the next five years to a project designed to develop fatigue testing technologies. The project, which will led by the US Navy, will use a retired US Navy Seahawk helicopter to develop the fatigue testing technologies which could transform how military helicopters are managed with the potential to reduce maintenance costs and improve aircraft availability. Defence Industry Minister Christopher Pyne said the new technologies could have significant benefits for both military and civilian helicopter operators. "In a world first, Defence scientists and engineers are developing a full-scale, structural fatigue test rig that can accurately replicate the loads and forces experienced by a helicopter in flight," Minister Pyne said. "While full-scale fatigue tests are routinely conducted for fixed-wing aircraft, the complex, high-frequency flight loading of helicopters has been particularly challenging to replicate in the laboratory. "Instead, helicopters are certified using conservative test methods that do not always fully predict the possibility of fleet damage." Australian companies involved in the project include Nova Systems, Jack Thompson Engineering, Fortburn and Advanced VTOL Technologies. The trial program, which includes the building of the test rig and test demonstration, commenced late last year and will continue until 2022. "The program aims not only to develop the capability to fully test and validate helicopter structures, but also to deliver innovations that may be applied to other areas such as the fatigue testing of fixed-wing aircraft," Minister Pyne said. "If successful, the technology could represent a considerable commercial opportunity for defence industry in Australia." 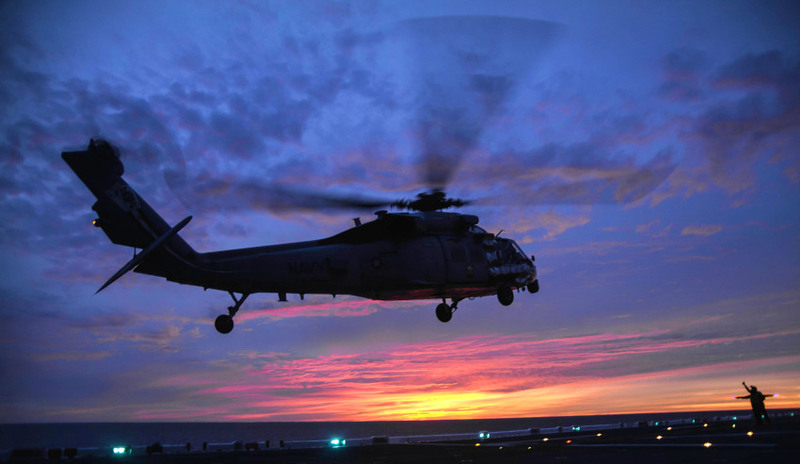 The US Navy, which has supplied one of its aircraft for the research, has expressed an interest in implementing a full-scale fatigue testing on its entire fleet of Romeo Seahawk helicopters.